Shopping for area rugs that tie a design theme together? Look no further than Brentwood Carpets Flooring America, part of the reputable Flooring America network. Our selection of areas rugs in Raleigh boasts a variety of shapes, sizes, colors, and textures to enhance the aesthetic of any home. Let our friendly flooring experts help you find a cozy area rug that makes a statement. Because our local business is part of a national franchise, we offer a huge selection of area rugs in many varieties. These rugs come in all sizes, shapes, styles, and colors from brand-name manufacturers, such as Shaw® and Karastan®. Not to mention, Oriental Weavers area rugs, Masland rugs, Stanton area rugs, and Dayln area rugs. Complement your home décor with us today. Whether you prefer patterns that have been used for hundreds of years or designs that communicate a modern and minimal aesthetic, we have just what you seek at our showroom! Our inexpensive area rugs in Raleigh allow to you add warmth to any room throughout your home, including your bedrooms, living rooms, hallways, foyers, and play rooms. Make the most out of your rug by flipping it! 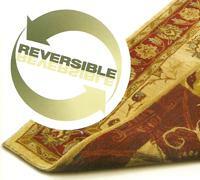 Reversible rugs are two rugs rolled up into one. They offer a new twist in versatile décor. Available in every size, color, shape, and price, they let you change your décor when you want something new. There’s no need to sweep your home décor dilemma under the rug. Simply flip it to make all things new in your room. When you’re ready for a change, roll out a new area rug and renew your entire living area. Best of all, you can accomplish an upgrade for an affordable price. At our store, you’ll always find the right rug at the right price. So, don’t worry about re-painting your walls or renovating your room. We have a better solution for you: reversible rugs. Are you bored with your worn-out rooms? Change everything by changing your floors with Shaw rugs. Whether you want to change a drab hallway into an impressive walkway or transform a living room into a cozier area, we can help. Shaw area rugs come in many styles and colors that easily match any existing décor. Let us help you customize your living space with a Shaw rug. Don’t let other flooring companies pull the rug out from under you when you want affordable rugs. Instead, come to us. We have the most reasonably priced products in the flooring industry. You can enhance the luxury and elegance of your home or office without spending a fortune to do it. Our showroom features many different sizes, designs, and samples of our traditional, exotic, and authentic handcrafted rugs from many different parts of the globe. Please stop by and see for yourself how our beautiful rugs can enhance the luxury and elegance of your home or office. Skip the visit to competing flooring stores! Brentwood Carpets Flooring America delivers the personalized service you deserve. Our helpful associates work with you, listening to your lifestyle, budget, and tastes. We guide you through our extensive selection of area rugs, educating you about the different fibers, hues, and patterns available. The possibilities are virtually endless! Come by today and discover the difference. Complete our online contact form to learn more about our selection of quality area rugs in Raleigh. From classic to modern looks, we carry a broad selection of rugs that are perfect for your residential space. Contact us for more information about our affordable, name-brand rugs. We serve customers throughout Raleigh, Wake Forest, Rolesville, Youngsville, and Louisburg, North Carolina, as well as the surrounding areas.